It's a first, and quite an event for the French market: Paris is launching its "Asian Spring" based on the model of London and New York. While June has long been the traditional month for the sector's finest sales, never before has it hosted an event coordinating players across the board. Antoine Barrère reminds us that "there was a precedent twenty years ago with the Asian Autumn," but "the event didn't stay the course". The Paris gallery owner, one of the project's ambassadors, firmly believes there will be positive results from this synergy between galleries, French and international auction houses and institutions – because over the past few years, only the September event "Parcours des mondes" has managed to unite a handful of Asian art dealers in a waymarked circuit. Of course, the event will still need to get into its stride and make its mark abroad. 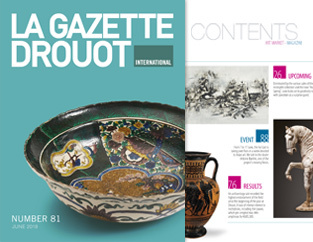 While waiting to see how it goes, the Hôtel Drouot is proposing over ten specialist catalogues on this occasion. The Paris saleroom is also the venue for the second round of auctions for the Aristophil collections. These promise some memorable bids, particularly for the ancient manuscripts. From 7 to 17 June, the Far East is taking over Paris in a week devoted to Asian art. Dubbed the "Printemps Asiatique Paris" (Paris Asian Spring), it features twenty galleries including Jacques Barrère, Christian Deydier, Alexis Renard, Mingei, Tanakaya, the Ateliers Brugier, Bertrand de Lavergne, the Compagnie de la Chine et des Indes, Christophe Hioco, English-speaking and French auction houses, the Hôtel Drouot and the Guimet and Cernuschi museums. We talk to the dealer Antoine Barrère, one of the project's moving forces. Dominated by the various sales of the Aristophil collection and the new "Asian Spring", June looks set to positively roar by, with porcelain as a surprise guest. 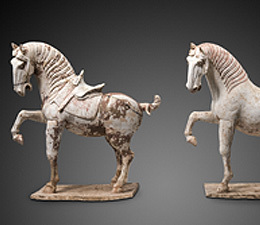 An archaeology sale recorded the highest endorsement of the field since the beginning of the year at Drouot. It was of intense interest to institutions, including the Louvre, which pre-empted two Attic amphoras for €685,300. In focusing on the refined and subtle art of Chinese perfume, the Musée Cernuschi, in Paris, breaks new ground and provides a genuine olfactory discovery: the first to reveal its importance in the Middle Kingdom. Moscow may be a mega-city, but it generally seems to lag behind in terms of contemporary art. We look at the local offering, focusing on the Winzavod wasteland galleries. 2018 is decidedly the year of gastronomy in all Europe's royal residences. While tickling the taste buds, the programme also nourishes considerable political ambitions.